Pro Evolution Soccer is a video game that is specially designed for sports enthusiasts. Our massive community of bargain hunters will provide you with the best Pro-Evolution-Soccer offers, deals, and voucher codes. The deals here are updated and our community of enthusiastic bargain hunters made sure that you can use the voucher codes. Here is where you can browse for really cheap quality Pro-Evolution-Soccer game editions. We bring you just about the right deals which will work for your budget and your lifestyle. Get this game at CDKeys, Amazon, and other UK sellers. PES 2018: Pro Evolution Soccer - The Premium Edition PS4. GOOD PRICE! 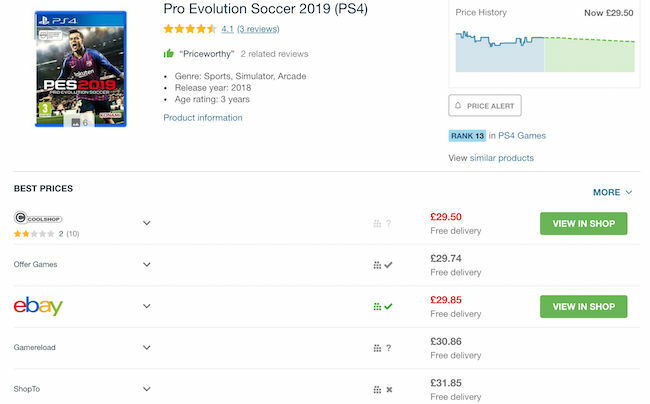 Cheapest Price Pro Evolution Soccer 2018 PS4? Pre-order for September. SAVE £14. Pro Evolution Soccer 2017 - HUGE REDUCTION! Get fantastic money off on Pro Soccer Evolution games here at Latest Deals! Konami published and developed Pro Evolution Soccer. The series is from the association football simulation video games. There are almost eighteen major instalments. Some of them have spinoff-style titles. They are usually released on various platforms. As a matter of fact, this is another version of the International Superstar Soccer. From then on, the series has succeeded up commercially. The series has been accepted widely. It is utilised for PES League and eSports. The PES League, or also known as the PES World Finals is the official eSports world championship. It happens every year since it was launched in 2010. This organisation shows both team and individual tournaments. This Pro Evolution Soccer is bound to be a simulation of the game itself. This is why if you are in the competition, you can take part in this. This is when the player has to control either the player or the team, depending upon your preference. There are objectives to the game that are normally in tangent with the rules of the football association. The mode is in the series. The included choices are Kick Off, Online and Offline. Strategic Play. PES has ended all the football stimulator on the market existing today. You may be performing a Gegenpress or swapping formations. You will not have an issue at all. You have the power to change the feels of this game in no time. That is another good news. Authentic Experience. The authentic experience you can unfold in this game is unparalleled. This becomes possible thanks to the True Ball Motion and Real Touch System. These would enable you to pass and shot a goal. Even the physics are a standout for PES. Advanced AI. AI is crucial for a sports game. Of course, you would not want enemies who are robotic. That would be unchallenging. This becomes possible because PES knows your strategy and that is where the attack is based from. Graphics & Performance. The graphical realism and one of a kind performance of PES are worth mentioning. While it may not be powered by EA’s Frostbite Engine, it did not become a hindrance to deliver a top-notch experience for gamers. Pro Evolution Soccer 2013. In this instalment, Campeonato Brasileiro Serie A is included alongside 20 teams from Brazil. According to reviews, this is the perfect match for FIFA. It has actually caused many fans to switch their game already. Pro Evolution Soccer 6. The PES 6 is available in platforms including PlayStation 2, Xbox 360 and as well as various PC avenues on Nintendo DS and PlayStation Portable. This version is commended for its high-quality graphics that did not compromise its console. Due to time restrictions though, the edit mode is limited to Xbox 360. Pro Evolution Soccer 4. Originally, this game appears in Xbox. It features Arsenal striker Thierry Henry and AS Roma forward - Francesco Totti. You will also see the world-renowned Italian referee Pierluigi Collina in this instalment. PES 4 has 72 teams that added to the retirement and development of the master league players. This is the first time you will see referees pitching in the game. How cool is that? Pro Evolution Soccer 2010. The major endorsement player of this ninth instalment from PES was Lionel Messis. This version is praised for its improved moves, animations and visuals. The expressions and movements of the players are believable. Their shots are also realistic. They are precise and accurate. There is also an enhanced online experience that happens only once in a while. Pro Evolution Soccer 5. The PES 5 is the first to feature licensed clubs from Premier League. This used to be one of the unlicensed leagues found on the game. What makes this is interesting is that it gives players the chance to edit various elements on the game. There are plenty of ways to save on your purchases online. 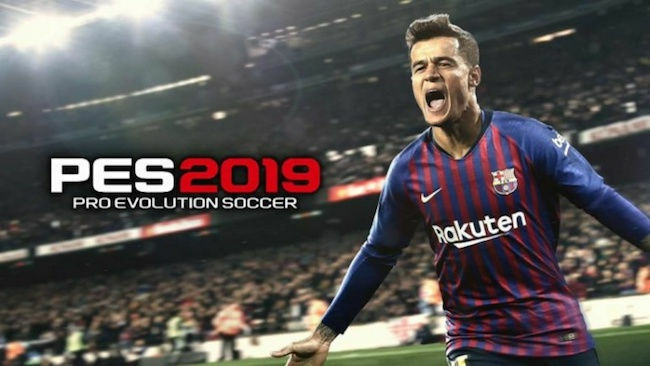 Most online UK shops such as 365games, Amazon, Base & CDKeys have regular sales, seasonal clearance, and flash sales where you can get up to 50% off on a wide array of Pro Evolution Soccer games. There are even retailers that have 3 for 2 and 2 for 1 offers on select items. Also, the best time to get huge savings is during Black Friday, Cyber Monday, and Boxing Day where an extensive selection of products like PES 2008, Pro Evolution Soccer 2 and Pro Evolution Soccer 3 from your favourite UK retailers are reduced to clear. Knowing when and where to look for the lowest possible price on Pro Evolution Soccer is the key here. Fortunately, you don't have to spend hours online searching for special offers, Pro Evolution deals, and PES 2018 PS3 price drops. Our massive community of bargain hunters regularly share verified discounts, promos, and voucher codes from Gameseek, PlayStation, ShopTo & Tesco, and from other reputable shops across the country. We also have a team of money-saving experts who always share essential tips and tricks on how you can get every day low prices on PES 19, PES 2019 PS4, PES 2018 Xbox One digital downloads, and PES 2018 premium edition PS4 when shopping both online and instore. Getting additional money off with the help of Latest Deals is easy. You can maximise your savings by simply using the latest Pro Evolution Soccer discount code of your choice upon check out. There are also voucher codes that can provide you with free shipping and gifts.